Joomla!Day is made from a collection of 30 minute lectures and 90 minute workshops. All lectures and workshops have to be connected to the Joomla CMS on various applications. We have a sponsorship program which will allow you as sponsor, to advertise your business and or company within the distinguished frame of Israel Joomla!Day. 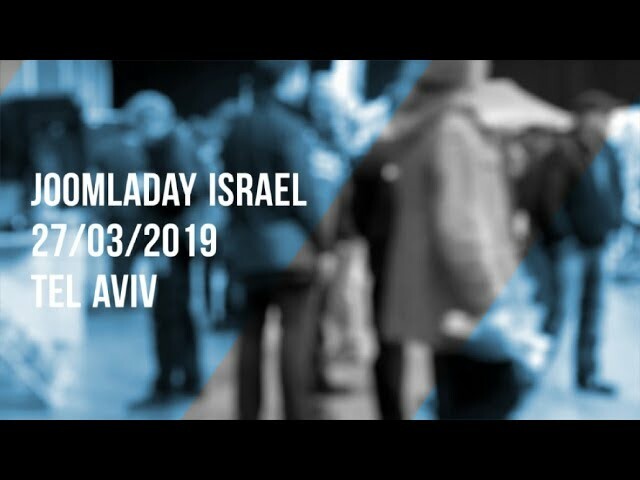 Joomla!Day Israel is returning for the eighth time. Taking place on March 27th, 2019, the event features a day of networking, presentations, discussions and fun - all focused on the Joomla! Content Management System (CMS). During the day we will have lectures on several subjects, such as, what is so special in Joomla, Joomla functionality, developing in Joomla, Joomla and SEO, security in Joomla, etc. The day is designed for everyone who is involved in building sites. Web masters, designers and developers. In addition the day is suitable for entrepreneurs and managers, who want to learn about the advanced possibilities, but yet simple methods, of building an attractive sites. For more information, please, visit our site at: jday.joomla.org.il.fermentum iaculis elit at maximus. Nulla orci tellus, aliquam id eleifend non, tristique nec enim.